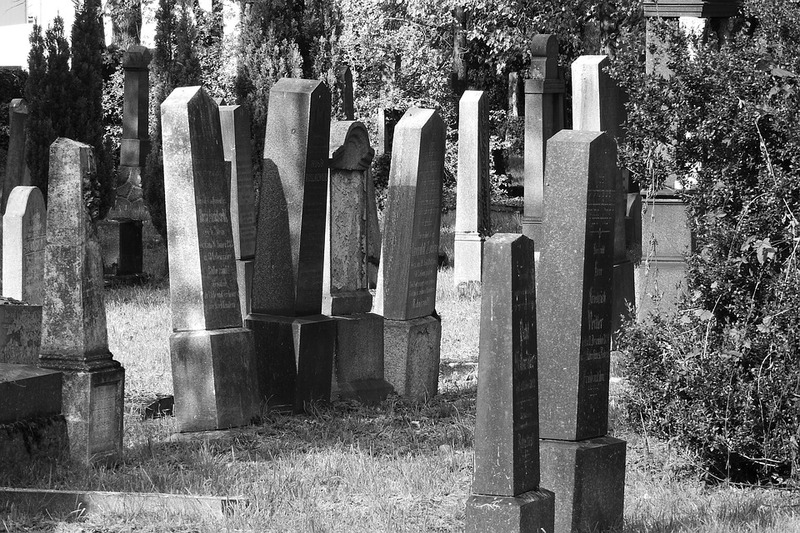 Graveyard tours are often promoted in the month of October as an opportunity for spookiness. Judaism, however, encourages visiting the burial sites of relatives and holy people at all times of the year. Such visits are seen as opportunities for prayer, reflection and inspiration. Certain sites, such as the Tomb of Mother Rachel (whose yahrtzeit is observed today) and the Tomb of the Patriarchs, are considered particularly auspicious for supplication. The Jewish view of the afterlife is of an existence that is complex. In life, a person has the opportunity to perform mitzvot and grow spiritually (or the opposite). This opportunity ends at death, but the soul lives on in its appointed place in Heaven. There it remains attuned to life on earth while in the embrace of the Divine presence (for more on the afterlife, click here). Praying at a grave connects the petitioner to the departed, calling for their spiritual advocacy on behalf of those who live. The Talmud records that when the 12 spies went into the Land of Israel (click here), Caleb, who was one of the scouts, visited the Tomb of the Patriarchs in Hebron and prayed, “My fathers, pray on my behalf that I may be delivered from the plan [to discourage entering the Land of Israel] of the [other] spies” (Talmud Sotah 34b). 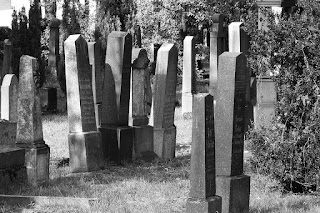 While others may go to graveyards to see what goes “bump in the night,” a Jewish visit to a graveyard is an opportunity to demonstrate respect for those who have passed, to find inspiration in the deeds of the departed and to have a few words with the Giver of all life. If you are nearby, visit the graves of your relatives. Parenting is no easy task. From a very early age, children demand and seek gifts and concessions from their parents. And particularly in our overly-materialistic society, children want a lot of things. Far too often a parent finds him/herself placating a crying or misbehaving child by promising them a special treat or a toy, or some other reward, if they’ll just behave. Whether or not this is the appropriate way to handle the rearing of one’s child is not Jewish Treats' place to judge. However, it is interesting to note the importance of what one does with those promises made in the middle of the grocery store. The Talmud states (Sukkah 46b): “Rabbi Zeira said: One should not say to a child, ‘I will give you something,’ and then not give it to him/her, because that teaches the child to lie, as it is stated: “They train their tongue to speak falsehood’ (Jeremiah 9:4).” This is not only a problem because one is teaching a child that it is okay to tell a falsehood, but because it could actually involve several other prohibitions as well. For instance, just as one must pay a worker on time, so too one must pay one’s child on time for mowing the lawn, or reward one’s child with the promised treat that same day--unless otherwise specified. And if one fails to fulfill the promise...alas, it could be considered a form of stealing! This Treat was last posted on October 29, 2009. Always try to fulfill the words that you speak. October 27, 1275 is noted as the first time the name “Amsterdam” was recorded as the name of a settlement near a dam on the Amstel River. That small fishing village grew into a vibrant city that became a safe-haven for both Sephardi and Ashkenazi Jews in the late Middle Ages. During its early years, Amsterdam came under the influence of several different rulers, including Phillip II of Spain. As part of the Union of Utrecht in 1579, the citizens of Amsterdam left Spanish rule, which they resented due to its high taxes and religious intolerance of Protestants. This treaty included a prohibition of persecuting a person for their religious beliefs, a rule that was particularly note-worthy for the Portuguese Jews who were living their public lives as Christians to avoid persecution by the Inquisition. In Amsterdam, they could shed their converso personas and live as Jews. It is believed that Sephardi Jews began arriving in Amsterdam in the late 1500s and that their first organized service took place in 1596, which led to the formation of Congregation Beth Jacob. By 1608, the community was large enough to support a second synagogue, Neweh Shalom, and a third, Bet Yisrael, in 1618. The three consolidated into one in 1638. Amsterdam was also a haven for Ashkenazim. The first Ashkenazi Jews to settle in Amsterdam were Jews fleeing the Thirty Year War in Germany. By 1635, they established the first Ashkenazi synagogue. In 1648, there was an influx of Polish Jews fleeing the Chmielnicki pogroms and, in 1655, Lithuanian Jews took refuge there from a Russian invasion. The numerous different communities led the government to require a unified community. Like most cities in the Middle Ages, Jews were restricted in their professions and interactions with non-Jews. However, their protection from overall persecution allowed Amsterdam’s Jews to flourish. The city became a center of Jewish printing and an oasis of Jewish scholarship and accomplishment. Schedule in a Shabbat nap for Saturday afternoon. 1) Sarah, the wife of Abraham, had her request for the banishment of Hagar and Ishmael supported by God Himself, who told Abraham to listen to her, as she was a greater prophet than her husband. 2) Miriam, the older sister of Moses, was actually blessed with prophecy at an early age. It was Miriam who encouraged her parents to reunite after separating so that Moses might be conceived. 3) Deborah was both a prophetess and a Judge over Israel. She led the nation into war, and victory, against the Canaanite General Sisera. 4) Hannah, the mother of the prophet Samuel, was barren for over 10 years. Hannah’s near-silent prayers, challenging God on her very essence of being a woman, became the model for Jewish prayer. 5) Abigail interceded with the-not-yet-king David on behalf of her stingy husband, Nabal, who refused to pay David for guard work. Abigail stepped in to diffuse the future king’s rage. When, shortly thereafter, Nabal died, David and Abigail were wed.
6) Huldah, a cousin of the prophet Jeremiah, prophesied in one of the gates of the First Temple. Her consultation with King Josiah is recorded in the Second Book of Kings. 7) Esther, the heroine of Purim and wife of the Persian King Ahashverosh, was the only person who could persuade the king to revoke the order that he had issued calling for the destruction of all the Jews of Persia. This Treat was originally posted on January 8, 2009. Place mezuzot on all the doorposts of your house (except the bathroom). Author of over 80 different works, the Right Honorable Sir Martin Gilbert is best known in the Jewish world for his numerous volumes on Jewish history. Born in London on October 25, 1936, Gilbert was one of thousands of children evacuated to Canada during the war. He returned to England in a transport arranged by Sir Winston Churchill, a fact that made Gilbert greatly admire Churchill and had a tremendous influence on his life. After spending two years in Britain’s intelligence corps as part of his national service, Gilbert studied history at Oxford. He received his BA in 1960 and continued on as a research fellow. In 1962, he was chosen by Randolph Churchill to join the team working on the biography of his father, Winston. When Randolph Churchill passed away in 1968, with only two volumes published, it was decided that Gilbert would take over the project. Over the next 20 years, he wrote six more volumes to complete Churchill’s biography as well as several related volumes such as Churchill and the Jews. At least 20 of Gilbert’s books have focused on Jewish life. Having visited concentration camps in the late 1950s, he felt it particularly important to record this history. In the 1980s, he took particular interest in the movement to free Soviet Jews. Throughout his life, he was an active member of the Jewish community and regularly attended Shabbat services. Gilbert had an acclaimed career and was close with numerous national leaders, both in Britain and in Israel. In 1990, he was named Commander of the Order of the British Empire, and he was knighted, in 1995, for services to British history and international relations. In 2009, he was appointed a member of the Privy Council so that he could sit on the Chilcot Committee inquiring into the Iraq war. Gilbert’s last book, In Ishmael’s House: A History of the Jews in Muslim Lands, was published in 2010. He passed away on February 3, 2015. According to Jewish tradition, Abram was very young when he came to the conclusion that the world had One Creator. Although it is often said that Abraham discovered monotheism, the fact is that he was not the first personality in the Torah to recognize God. He was, however, the first to try to actively share his world view with others. It wasn’t easy, since few people want to have the basic principle of their life questioned. But Abraham did so anyway. For Abraham to promote belief in one God was particularly challenging, as his father, Terach, specialized in making and selling idols. The Midrash records two incidents that occurred in Terach’s workshop. The first provides a snapshot of how Abraham would dissuade customers from buying his father’s wares. He would tell middle-aged customers: “Woe to him who is sixty years old and worships something made today...” (Genesis Rabbah 38:13). The second incident was his “last stand” with his father. A customer delivered a plate of food for the statues and instructed Abraham to feed the idols. After the customer left, Abraham took a club, broke all of the idols, and placed the club in the hands of the biggest idol. When Abraham’s father returned, he asked: Who did all of this? Abraham responded that when he put the offering of food before the idols, they began fighting who would eat the food first. Then the biggest idol smashed the others. Terach responded: “What? Do you think you can trick me? Idols don’t have cognition!” Abraham said: “Do your ears hear what your mouth is saying?” (ibid). Like most parents, Terach was less than happy at what he likely saw as his son’s rebellion. As obvious as Abraham’s response seems to us today, he was boldly declaring that the foundations of the very society in which they lived were false. That accusation would lead him to the court of Nimrod and, eventually to the Land of Canaan. Study Midrash (extra-Biblical legends) to better understand the narrative of the Torah. The Jewish calendar includes two week-long, Torah-ordained holidays: Passover and Sukkot (the latter of which ended a little over a week ago). * These holidays fill our spiritual needs with beautiful prayers and customs meant to help us connect with the Divine. The holidays are also replete with worldly pleasures such as festive meals that are often like banquets and feasts, and days full of abundant socializing. These week-long celebrations are also connected to a custom known as BeHaB. BeHaB is not a word but rather an acronym representing “Bet” (Monday, the second day of the week) - “Hey” (Thursday, the fifth day of the week) - “Bet” (again, Monday, the second day of the week). 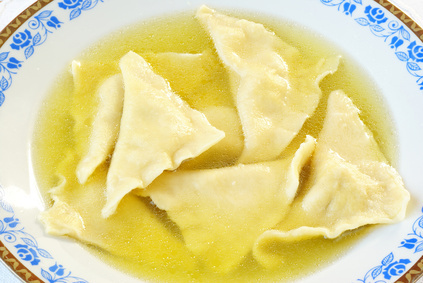 It refers to an ancient Ashkenazi tradition of fasting (voluntarily) on the first Monday-Thursday-Monday of the months of Iyar and Cheshvan, the months that immediately follow Passover and Sukkot, respectively. Additionally, Selichot (special penitential prayers) are added to the morning service. The fast, however, is not observed on a day that a simcha, a happy occasion such as a brit milah (circumcision), is celebrated. BeHaB is not mentioned in the Torah or the Talmud, but it is a custom that has been observed by Ashkenazi Jews for centuries. While the actual origin of this tradition is obscure, there are several common suggestions as to its purpose. Many believe that the BeHaB fasting and prayers are meant to starkly contrast with the recent days of holiday revelry when one might have conducted themselves more freely than they should have. Fasting leads to penitence. Similarly, some have correlated BeHaB to the fact that only Passover and Sukkot have chol hamoed, the interim days of the holiday during which one may perform some, but not all, of the creative labors generally prohibited on a festival days. The fasts of BeHaB are meant to atone for the frequent, unintended chol hamoed transgressions. These are just two of the ideas connected to the fasts. *Chanukah, which is 8 days long, is rabbinically ordained. Be supportive of others who are trying to add Jewish practice and spirituality into their lives. For those who have studied the history of the return of the Jewish people to the land of Israel, the term “White Paper” is at once familiar and ambiguous. It is commonly understood that the issuance of “The White Paper” by Great Britain hampered the Zionist movement by limiting Jewish immigration into the British Mandate of Palestine. The fact of the matter is that in relation to Palestine, the British government issued three White Papers, all of which were, in their own way, reactions to the Balfour Declaration and limited the Jewish benefits. Issued in 1917, not long after the British took over the Ottoman territory, the Balfour Declaration was a statement of the British Foreign Minister declaring Britain’s support for the establishment of a Jewish homeland. The final White Paper was issued in 1939 and was created after the Peel Commission recommended partitioning the land into two separate territories. The 1939 White Paper rejected the partition plan. While it contained statements supporting a Jewish homeland in Palestine, tragically it also set a limit of 75,000 Jewish immigrants over the next five years (a period when a safe haven was most needed by the victims of the Holocaust). If you enjoy wine, check out the collection of kosher wines available at your local kosher wine vendor or online. Sometimes the world seems a bit like alphabet soup. There are the ever increasing abbreviations that are being made popular via texting (e.g. “ttyl”-talk to you later, and “imho”-in my humble opinion). And one can hardly ignore the various titles that appear in abbreviated form following a person’s name (e.g. PhD, MD, JD, MBA). Judaism also has a range of abbreviations that follow a name. Many see these abbreviations all their lives without ever knowing exactly what they mean. Perhaps the most common are those abbreviations that are used to honor the dead. These terms are added both when writing and/or talking about an individual. Not only does it inform people that the person is no longer living, but is also a way of bringing blessing upon the memory and the soul of the deceased. This Treat was originally posted on December 11, 2008. Speak respectfully of those who have passed. 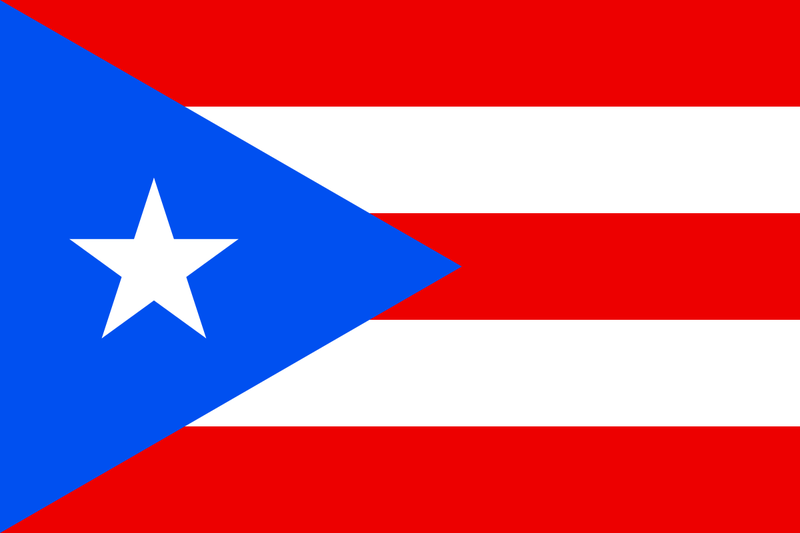 On October 18, 1898, the “Stars and Stripes” flag of the United States was raised over Puerto Rico, announcing that the island was now under American sovereignty. Today’s Treat presents an overview of the history of Puerto Rico’s Jewish community (and is dedicated to the island’s speedy recovery from the devastation of Hurricane Maria). Although there is a great deal of speculation about Jews arriving on the island when Christopher Columbus first arrived in the Western Hemisphere -- which was the same time that Jews were expelled from Spain -- there is little known Jewish history there before the 20th century. It is believed that “Crypto Jews” (Jews living as Christians, also known as conversos/annusim /marranos) who came to settle there are believed to have moved to more remote, mountainous areas in order to avoid any possible attention from the Inquisition. 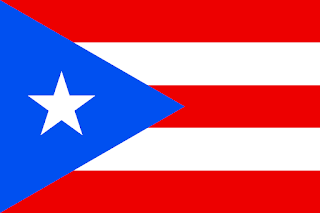 Even after the abolishment of the Inquisition and Spain’s 1870 Acto de Culto Condicionado – issued after a failed uprising -- allowing freedom of religion in Puerto Rico in hopes of encouraging loyal settlement, few Jews settled there. The origins of the modern Jewish community, which began in the 1930s and 190s, was primarily composed of refugees from Europe and some U.S. servicemen who chose to remain on the island after the war. Puerto Rico’s Jewish Community Center opened in 1942. Shaare Tzedek synagogue, a Conservative congregation, was established ten years later. Today, Puerto Rico is noted for having synagogues representing the range of Jewish denominations: Reform Temple Beth Shalom was established in 1967 and the Orthodox Chabad of Puerto Rico in 1999. Additionally, in 2005, a Satmar community opened a synagogue in Mayaguez. Prepare for the coming winter by helping others and donating food/clothing/money to a local shelter. On a basic reading, it seems quite puzzling that what the raven did could be seen as wrong. According to one understanding of the text, Noah sent the raven to test the living conditions of the world, and, upon finding it uninhabitable, the raven stayed outside of the ark waiting to fulfill its mission. Its mission is clarified by the next verse: “Then he [Noah] sent the dove to see whether the water had decreased from the earth” (ibid 8:8). The dove went out, found no place to perch and returned to the ark until it was sent out again and then returned with the olive branch. The dove and its olive branch became an eternal symbol of peace. The Talmud, however, includes an aggadic (non-legalistic, legendary) passage that sheds a very different light on the verse concerning the raven. According to Resh Lakish, the raven concluded that Noah was sending him out of the ark as a sign of hatred. “You hate me, since you are sending me, instead of one of the species of which there are seven. If I die, there will be no more of my kind.” Next, the raven actually accused Noah of desiring his mate. (Talmud Sanhedrin 108b). The Talmud further states that the raven was one of three creatures that had relations while on the ark (which was forbidden while humanity was drowning). In honor of “Dictionary Day,” Jewish Treats looks at a renowned Jewish dictionary that has served scholars and students since the turn of the 20th century. A Dictionary of Targumim, Talmud Bavli, Talmud Yerushalmi and Midrashic Literature, was authored by Marcus Jastrow. Known popularly as The Jastrow Dictionary, it was a unique project that demonstrated the connection of the Aramaic language of the Talmud to the Hebrew of the Torah. Although other lexicons of the Aramaic language have been created, almost none cover the breadth of language researched and charted by Jastrow. Born in Prussia in 1829, Marcus Jastrow had a diverse education that was rich both in religious study and secular academics. He completed his studies at the University of Berlin and received a PhD from the University of Halle while also completing his studies for rabbinic ordination. His first rabbinic position was in Warsaw, where he was quickly swept up in national politics, supporting the “revolutionaries” and ending up in jail before being sent back to Prussia. He then took a position as the District Rabbi of Worms. In 1866, Jastrow accepted the pulpit at Congregation Rodeph Shalom in Philadelphia, Pennsylvania, and quickly became an active member of the American Jewish community. He taught courses at Philadelphia’s Maimonides College and helped found the Jewish Theological Seminary in New York. Jastrow began working on his dictionary, which took nearly twenty years to complete, in 1876, while he was recovering from an illness. During this time, Jastrow also worked on several other projects, including the Jewish Encyclopedia, for the Jewish Publication Society of America (now JPS International). Dr. Jastrow, who received an additional doctorate from the University of Pennsylvania in 1900, retired from the pulpit in 1892, when Rodeph Shalom voted to join the Reform Movement. He passed away on Simchat Torah (October 13) 1903. His dictionary, with its alphabetical organization, cross-referencing and root charting, and index of scriptural references, is still in popular use today. Purchase Jewish texts in the language that you find easiest to use. The history of this mitzvah is less clear than the other mitzvot of Sukkot, but its performance is described in the Talmud (TractateSukkot 44a). Actually, it is written therein that "the [beating of] the willow branch and the water libation [ceremony] were given to Moses at Mount Sinai.” The fact that the ceremony continued after the destruction of the Temple and outside the land of Israel is considered to be of Prophetic origin. Jewish Treats and NJOP wish you a meaningful and fun Shemini Atzeret/Simchat Torah. Hoshana Rabbah 5778 begins tonight (Tuesday night). 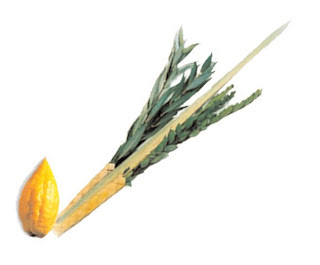 If you haven't yet had the chance, try to find a way to fulfill the mitzvah of shaking a lulav and etrog. The name of the service, Hoshanot, is derived from the opening word that is repeated throughout the first prayer: Hoshana. This word is actually a contraction of two separate words and means “Please save!” The congregants open the ceremony by beseeching God to save His people “For Your sake, Our God!”; “For Your sake, our Creator!”; “For Your sake, our Redeemer!”; and “For Your sake, our Attender!” Each cry is preceded and followed by “Hoshana” (Please Save!). Take time during the holiday of Sukkot to reflect on God's hand in your life. 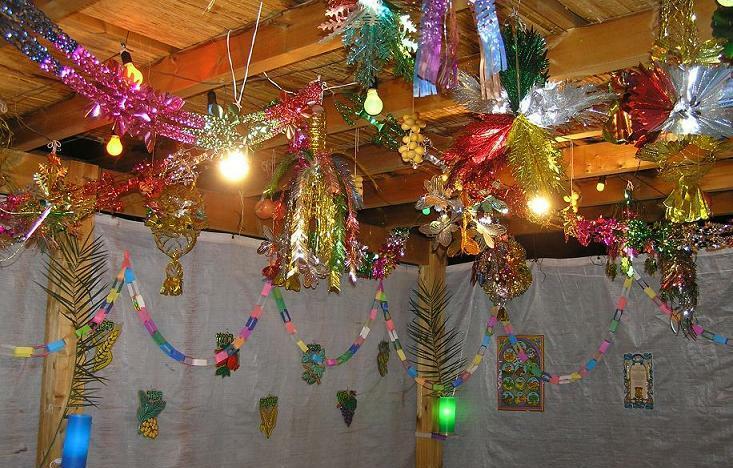 Celebrate in the sukkah throughout the interim days of the Sukkot holiday. Jewish Treats and NJOP wish you and yours a very joyful Sukkot holiday. A few years back, The Atlantic Magazine featured a story about a project that came to be known as “Sukkah City” held in New York. 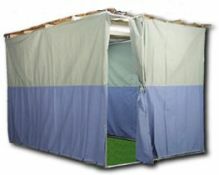 Sukkah City challenged architects to create unique sukkot with only one guideline: halacha, Jewish law. 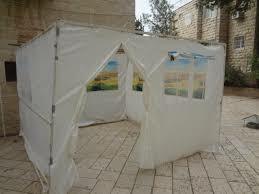 A basic sukkah is really quite simple: three walls and a bunch of branches overhead. (For a more detailed review of the laws, click here.) 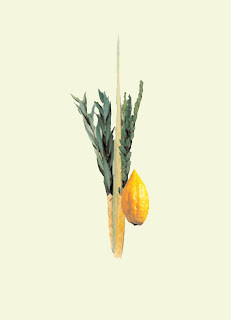 However, many of the Sukkah City architects who looked to the Talmud for design inspiration must have been quite surprised by the creative sukkot described therein. For instance, while a sukkah’s roof must be made of detached tree branches, can the sukkah itself be built in a tree? The discussion, which begins on page 22b of Talmud Tractate Sukkah, presents different rulings, depending on the nature of the walls. Speaking of animals, the sages ruled that a securely-bound elephant would be valid as a sukkah wall. This was due to the elephant’s size, so this rule applies to no other animal. No one in this day and age would ever contemplate such strange building materials (indeed, most probably, no one ever used an actual elephant as a sukkah wall), but these passages demonstrate the flexibility and creativity that are inherent in Jewish tradition. Hadassim/Three Myrtle Branches: The hadassim, which are bound on the right side of the lulav's spine, should have moist, green leaves grouped in level rows of three. There should be no large, uncovered section of stem. The stem and the leaves should be whole, without any nips at the top and the leaves should cover the entire branch to the top. There should not be more berries than leaves and there should be no large twigs. Aravot/Two Willow Branches: The aravot, which are bound to the left side of the lulav's spine (slightly lower than the hadassim) should have reddish stems with green, moist leaves. The leaves should be long, narrow and smooth-edged, with no nips or tears. If you can't make a sukkah of your own, ask the local synagogue if there is one to which you can bring food. Waving the four species is a symbolic recognition of God’s omnipresent kingship over the world and everything in it. As it says in the Talmud, in Sukkah 37b: "It is as if one is taking the species and bringing them to God who possesses the four directions. One raises them and lowers them to God who owns the heavens and the earth. "Acknowledging God’s ownership of the world is particularly appropriate during the harvest season, when people might be tempted to rejoice exclusively about their own personal success. Surely, people are entitled to celebrate their own achievements, but always with the understanding that behind it all is God. 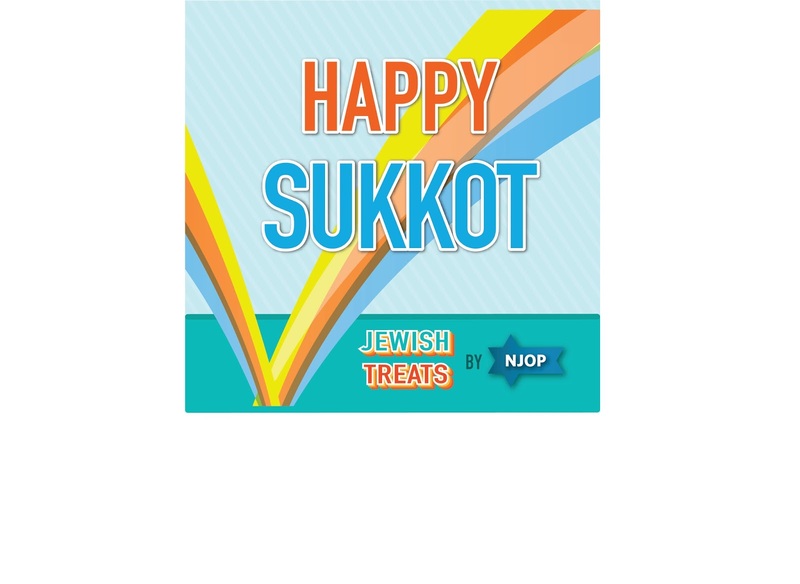 *Some customs may vary.This Treat is reposted in honor of Sukkot. Contact your local synagogue to ask where you might be able to purchase a lulav and etrog set.